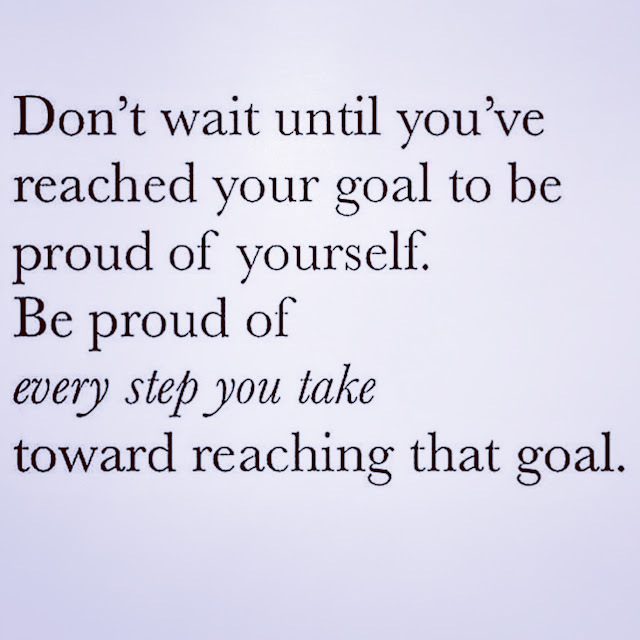 "Don't wait until you've reached your goal to be proud of yourself. Be proud of every step you take toward reaching that goal." I'm so grateful for the things that I've achieved in my life and for everyone who helped support me to get me to where I am today. Remember to pay attention to the little things that you accomplish instead of only focusing on the road ahead. Remember that if you make it partway toward a goal, that's not failure, that's successful progress! Always focus on the good that's come from everything you try. You got this!